(Mendon, MA—September, 2012) WGB Construction Company, LLC. is announcing today that they have added two new home designs under $500,000.00 to their portfolio at Brookmeadow Village in South Grafton. 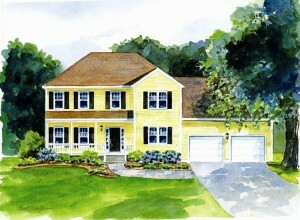 The Brenton Plan (2,039 sq. ft.) – offers a flexible and inviting design with an open kitchen, eating area and family room. Complete with a mudroom off of the two car garage and a first floor laundry, this 4 bedroom, 2.5 bath home offers a practical layout that is both traditional and comfortable. The Andrew Plan (2,185 sq. ft.) – This charming 4 bedroom, 2.5 bath home features a spacious family room, dining room and an open first floor layout ideal for entertaining. The Andrew offers several unique features including an expansive master bedroom suite with a large walk-in-closet and a beautiful, shaded front porch. 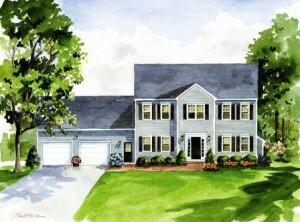 For more information about these beautiful, new homes please visit WGB on the web at www.wgbhomes.com or at our model home 373 Providence Road, South Grafton, Massachusetts. WGB Construction Company, LLC. has been building new homes in Massachusetts for almost four decades. Known for their impeccable quality and superior customer service, WGB has developed a reputation as a premier builder and developer throughout the state.